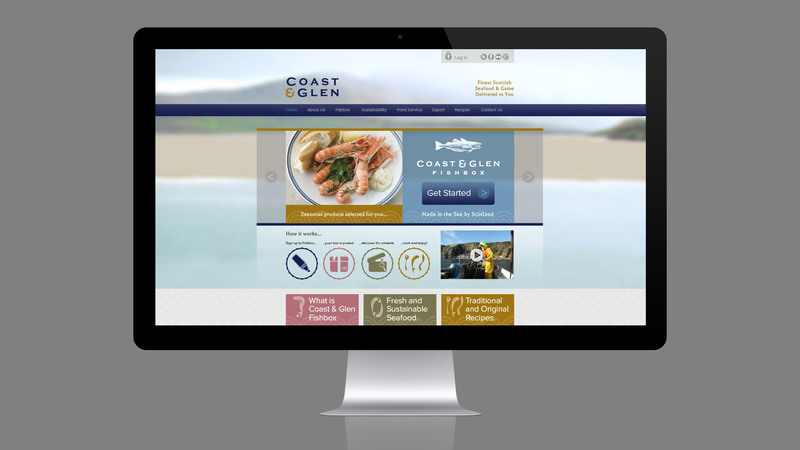 Coast & Glen asked us to develop their brand and create a new website dedicated to the online purchase of fresh, sustainable, Scottish seafood. 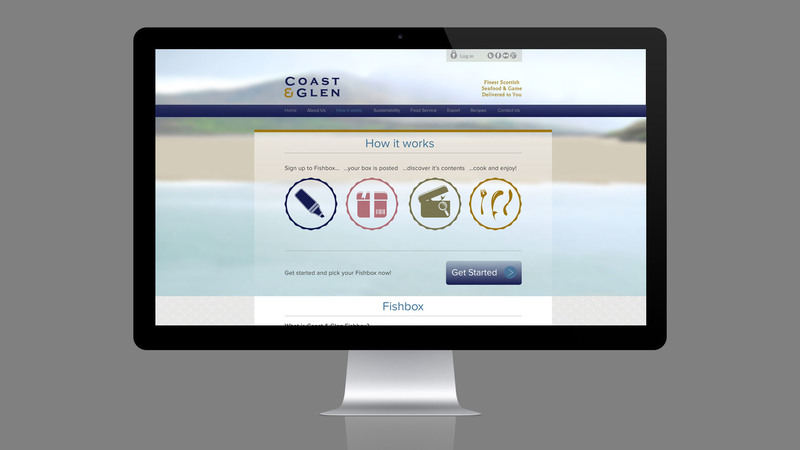 Engineered to function like a ‘veg box’ Fishbox keeps things simple by selecting only available, seasonal seafood. Each box is different, each box a surprise. Once subscribed to a weekly, fortnightly or monthly Fishbox you can change your like/dislike preferences so you will never get produce you don’t like. 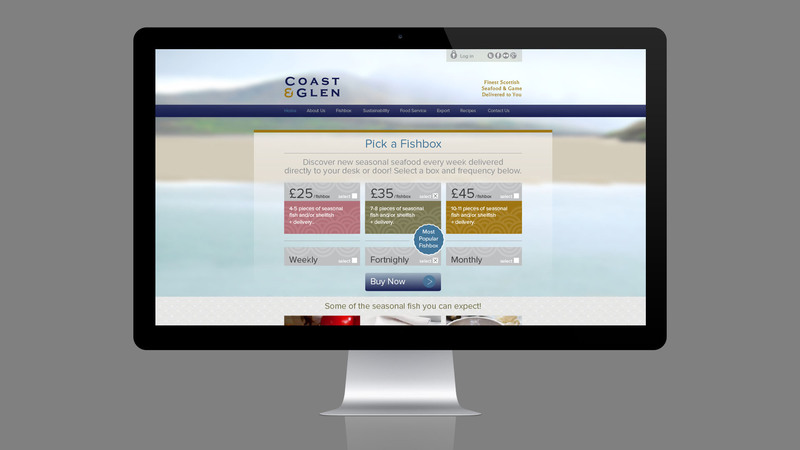 Highly successful, the real genius is the way the Coast & Glen team deliver the produce from boat to your doorstep in less than 48hrs, guaranteeing only the freshest of seafood.